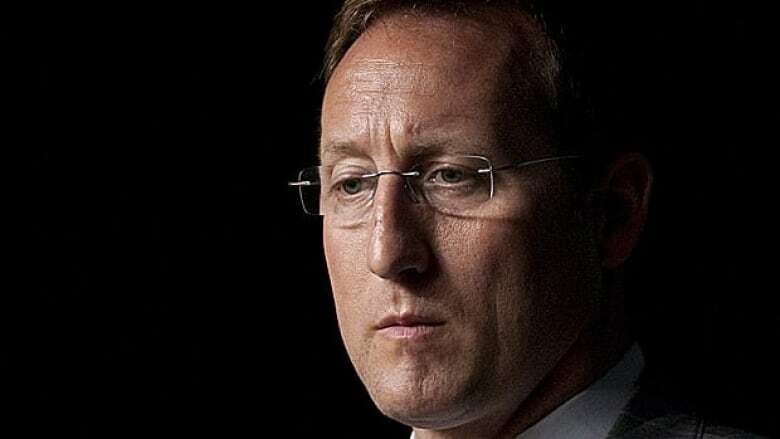 Media coverage of the use of government aircraft by Canada's top soldier and Defence Minister Peter MacKay led to tension over a "lacklustre defence" of MacKay by the military, newly released emails reveal. Media coverage of the use of government aircraft by Canada's top soldier and Defence Minister Peter MacKay led to tension over a "lacklustre defence" of MacKay by the military, as well as increased pressure to justify when to use the government's Challenger VIP jet, newly released emails suggest. The emails date back to two controversies last fall over travel by MacKay and Chief of Defence Staff Gen. Walt Natynczyk. One of the messages indicates MacKay's staff weren't happy with the amount of support received from the Canadian Forces after a report surfaced last September that MacKay had taken a Cormorant search and rescue chopper from a summer holiday at a fishing lodge to a nearby airport in Gander, N.L., so he could get to a government news conference in London, Ont. MacKay initially said he had been observing a search and rescue exercise executed by the helicopter and its crew. His staff later confirmed that he had been the subject of a hoist manoeuvre to lift him into the helicopter because it was too dangerous to land at the lodge. In December, after months of coverage, the former commander of the search and rescue squadron in Gander did an interview in which he said he was happy to pick up MacKay in the Cormorant. Stephen Reid, who was then retired, said it gave the crew face time with their minister. An email from Col. Jeff Tasseron, one of Natynczyk's senior advisers, describes a phone call he got from MacKay's chief of staff, John MacDonell, about Reid's support. Describing the phone call as "odd," Tasseron says MacDonell wanted to make sure there was no retribution against Reid for defending MacKay. "He [MacDonell] also made sure I understood that they were dissatisfied that this individual only came out on his own recognizance, rather than as part of a concerted plan to defend the minister," Tasseron wrote to Natynczyk. "He is clearly of the opinion that their own office's handling of this was fine, and that it has been our lacklustre defence that has been the real problem," Tasseron said in the email. A spokesman for Natynczyk said the comments in the email are self-explanatory, but that it would be a stretch to say there is tension between the two offices. "The offices of the CDS and minister maintain a cordial and professional relationship," Lt.-Col. Norbert Cyr said in an email to CBC News. A spokesman for MacKay denied any problems. "This office and the Canadian Forces have a strong professional relationship," Josh Zanin said in an email. The documents released under federal Access to Information laws show a search and rescue (SAR) technician who hoisted MacKay also added his support through an email to a military communications adviser. "Thought the [Minister of National Defence] should know his guys are behind him," Morgan Biderman wrote. "The training was more realistic, utilizing an authorized, non-experienced participant, who was willing and excited to exercise our SAR live hoisting capability … if it has a spinoff benefit of transporting him … I consider it a win-win for all concerned!" A week before news of MacKay's Cormorant flight broke, it was revealed Natynczyk had used government planes to travel to fundraisers, football and hockey games and to join his family on a cruise in the Caribbean. Natynczyk said he was using the jets to travel to and from events where he was representing the military and that the Challenger, which costs $2,630 an hour to fly, is forced to fly dozens of hours a year without passengers so that pilots can maintain their proficiency. Natynczyk said it was cheaper to use the Challenger than to fly commercially, especially when he travelled with several staff. The $2,630 cost doesn't include pilot salaries, training costs or aircraft depreciation. Those costs raise the amount to more than $10,000 an hour. The emails show Natynczyk's staff working to justify using the Challenger on long trips rather than booking commercial airline tickets. MacKay's office refused to request the Challenger for a trip that took MacKay, Natynczyk and others to see Canadian Forces members working off the coast of Libya and in Kabul, Afghanistan, for a Dec. 22-25 trip. Natynczyk's aide de camp had asked his assistant on Nov. 30, 2011, to prepare a rundown of commercial flight costs for 18 people to fly Ottawa to Kuwait via Rome, plus another nine to fly Ottawa to Kuwait. "In order to show our homework when arguing for Challenger use, I require the following data," Maj. Steve Popowych instructed. By the end of the day, Tasseron reported the request was denied. "Notwithstanding my attempt to adequately explain the timing, security and feasibility considerations related to my proposal for using Challenger aircraft to move between Rome and Kuwait, Mr. [MacDonell] has indicated that the [Minister of National Defence's Office] will not consider its use," he wrote. "Commercial it is," Natynczyk replied. Gov. Gen. David Johnston and five passengers not named in the documents took a Challenger from Ottawa to Rome and back to join the visit to HMCS Vancouver off the coast of Libya. This story has been changed from an earlier version to clarify Stephen Reid was retired at the time he gave an interview about Peter MacKay's ride in the Cormorant.